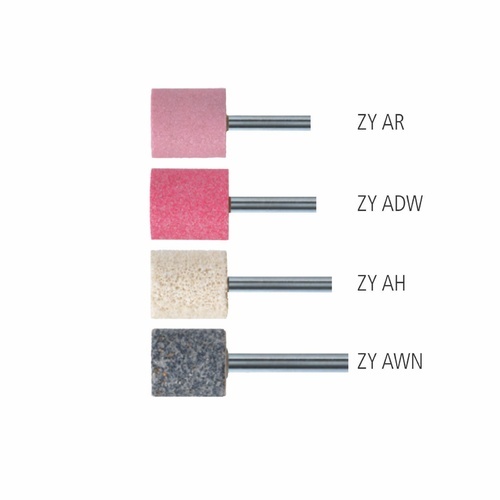 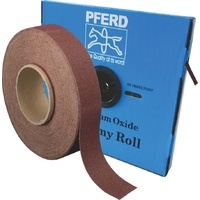 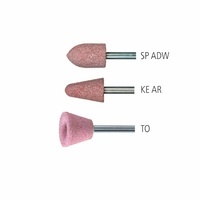 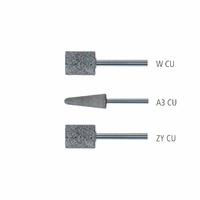 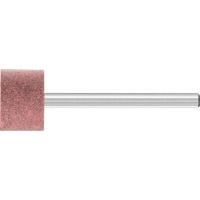 Mounted points in hardness O consist of pink aluminium oxide in a vitrified bond. 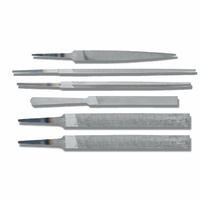 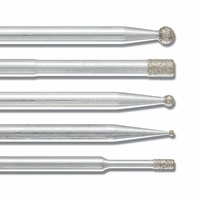 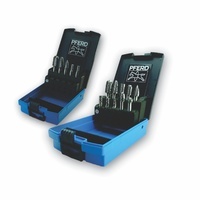 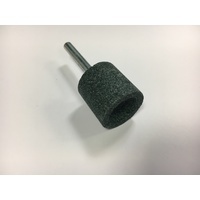 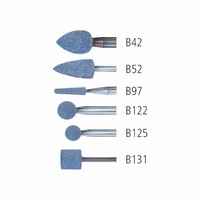 These tools are characterized by a very long tool life and good stock removal rate due to the combination of wear-resistant grain and a hard bond. 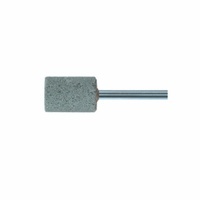 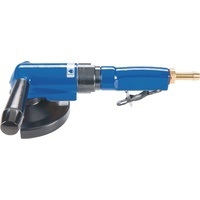 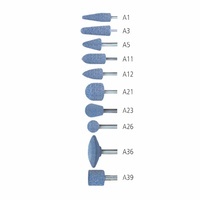 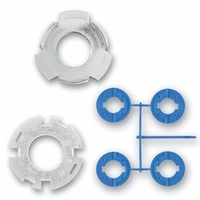 The hardness O is particularly suited for use on edges and for deburring work on steel components.